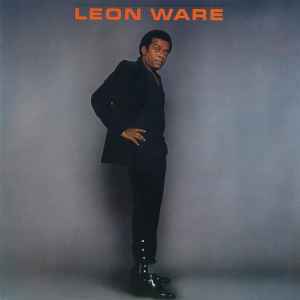 Produced for Leon Ware Productions, Inc.
(P) 1982 WEA International Inc. I actually have to say that my copies pressing is not the best..Noise in part of some of the tracks..I actually went out and bought the OG..Maybe not all copies are like this but mine definitely is unfortunately..
We really appreciate all the feedback and we'll endeavour to listen to the thoughts of all customers and collectors and give answers when possible. Part of our very existence is to bring about a fresh kind of reissue label that listens intently to what people want around the world. We at Be With Records are happy with the sound of this record and we are monitoring the mastering and pressing of each release as closely as possible. However, we do acknowledge that tastes are different but, nevertheless, we are striving to hit the mark as best we can. Here at Be With Records, we are definitely looking to be faithful to the sound of the originals with all of our reissues. That said, we are also determined to ensure they sound the best they possibly can. If we can incorporate some of the benefits of a more contemporary cutting style moving forward, then we likely will and are looking at a 'what-suits-best' approach for each release as it comes. We hear you on the shrinkwrap and, whilst the lack of it for this release hasn't affected anyone's record, we will be shrinkwrapping all releases from here on in - starting with BEWITH002LP - The Streets' A Grand Don't Come For Free. In terms of the artwork, we are also working with the master rights owners to source the original artwork for each release. In the case of Leon, having spoken to Bobby Holland personally (the photographer on the shoot with Leon) the original shot no longer existed. As with many reissue projects, we had to use the best that Warner Bros. had. However, we feel that it looks great and is faithful to the original - we've actually had a lot of comments on how impressed they are with the artwork and design elements etc. Any further comments welcome guys! Jeromy - pressing/sound quality really good. Really reccommed the purchase, believe me I 've searched high & low for this record previously. I agree with BIRDMAN3 really not fussed about no shrinkwrap, though I can't really remeber the last online purchase that did have shrinkwrap! Being lazy I've not seen what other re-issues this label are gonna do but if this is the kinda thing they'll be doing then definately one to watch out for IMO. A very welcome repress. Can anyone comment on the pressing & sound quality?